First an apology as I did this in August 2017. It has taken me a whole year to get round to showing you guys. 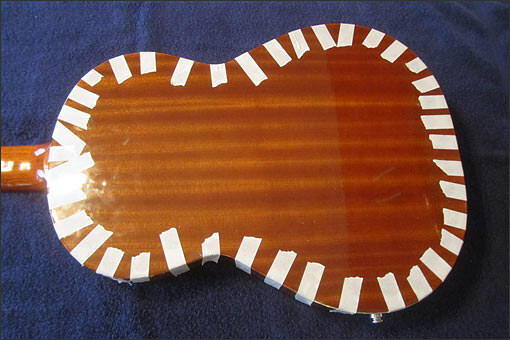 I have an Admira classical guitar, which a wordwork-teacher friend sawed in half, depthwise. Having watched him do it I thought I would have a go and removing the back so that I could install a pickup into this thin classical guitar. 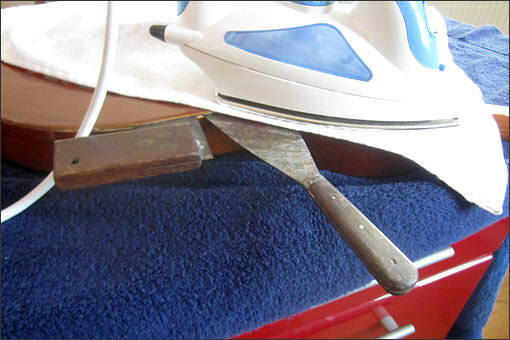 Using an iron and a towel I melted the existing glue and inserted scrapers and tri-squares so that the glue cooled with the back apart from the body. It was a long, slow job, releasing the back from the body all the way round. With the back off I could work on where to place the 4 pickups. As the guitar is too thin to be able to get my hand inside to change a battery I bought a K&K Pure Classic pickup. I then glued a block of wood to the body where I wanted the jack socket to be. When that had dried I drilled a hole for the jack socket. I read that the cable needs one loop so that it doesn't sit loose inside the body and risk flopping around and making a noise at it slaps the front or back. 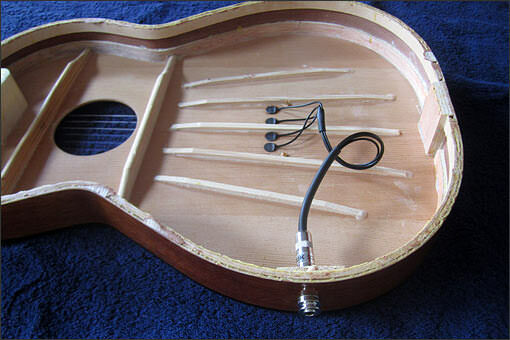 Once I was sure that I would not need to have access to the workings inside the guitar it was time to glue the back on using Titebond wood glue, as my friend had done last time. Lots of masking tape strips hold the back in place while the glue dries. 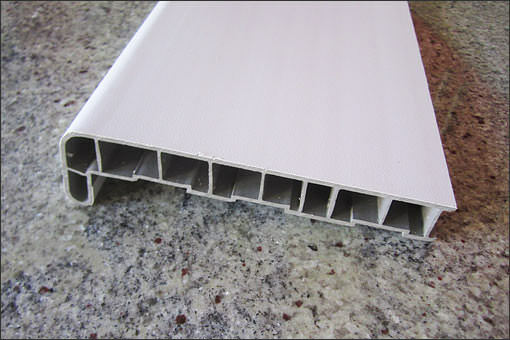 I spotted this short piece of plastic window sill in the bargain bucket in my local DIY shop and its shape reminded me that I have put off making a pedalboard. For the grand cost of €1.50 I thought I would risk it. 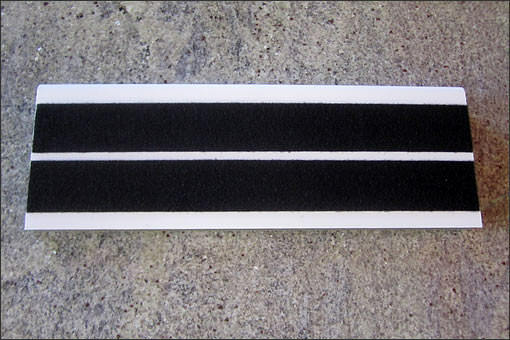 Add two strips of velcro. Add some pedals and drill holes for the mains adapter cables. From left to right: the matching K&K Pure Preamp for my pickup, a Boss CS-3 Compressor, a Neunaber Wet mono reverb pedal and a Samson DI box. The preamp was not necessary but after reading a lot I decided to get it as the pickup does not use a battery and the signal benefits from getting a boost before hitting the compressor and reverb pedals. A multi-plug extension cable was velcroed to the front of the board and adapter cables are taped to the underside of the board. For small solo gigs I plug the output of the DI box into my Alto TS110 1x10 combo and for larger gigs the DI box provides a feed to the stage box or mixer and I use the Alto TS110 as my monitor. 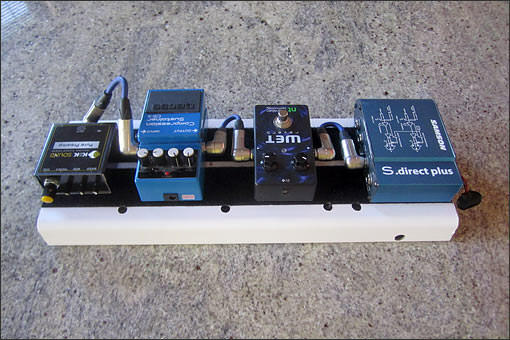 So how about that: a guitar-specific pedalboard! That looks like a very nice job and well documented too. Thanks for shareing. Brilliant job. Well done. 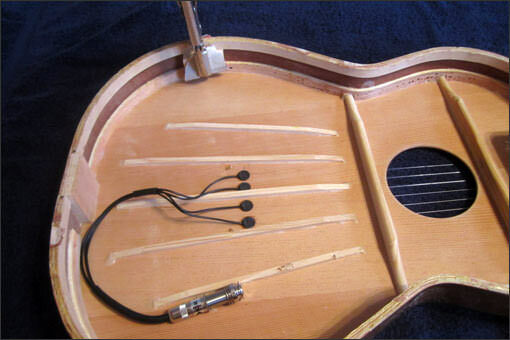 I would never have the guts to do that to a guitar! Wow! Nerves of steel to do that with an acoustic guitar! 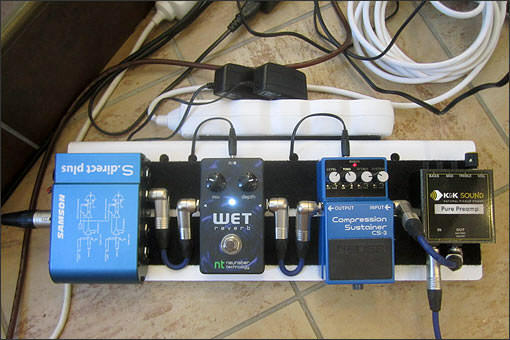 A nice piece of work with the pedal board too. Looks the part and great value.